Lower Columbia Contractor's Association – "Building Our Future Together"
When you become a member of the LCCA, you get the POWER of three memberships: LCCA, the BIAW and the NAHB, giving you access to a wide range of resources including a Health Insurance Program, Return on Industrial Insurance program, Building Industry Insurance Program (BiiP), Safety Assistance, Specialized education offerings, Government Affairs updates, Member savings and rebate programs, Marketing opportunities, Event and networking opportunities, and inclusion in our referral service and directory. 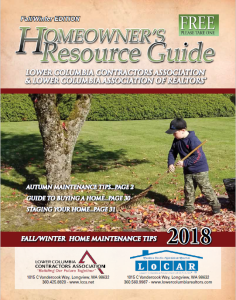 Choosing an LCCA member who is licensed, bonded, insured and registered, gives you the peace of mind you need when building, remodeling or repairing the home of your dreams. 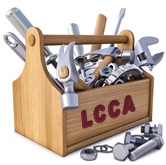 Click here to access the LCCA Directory. Follow us on Facebook or Houzz to see the latest projects from our members! Building a new home with Newrock Homes will be an exciting and enjoyable experience. They make every effort to ensure that the building process is clearly communicated to you, making sure your needs are meet. With over 50 floor plans available, you’ll be able to choose something that’s unique to you and has lasting value for future generations. If you can’t seem to find the right plan they can build from something that you provide or they can draft the perfect home for you. Newrock Homes provide services in light commercial and remodel/additions. Their team will be with you from the initial vision to the final walkthrough. Visit their website to start your home building experience today! "The LCCA exists to promote and protect the viability of the building industry by serving the members through legislative action, networking opportunities and education while striving to maintain the highest ethical standards."